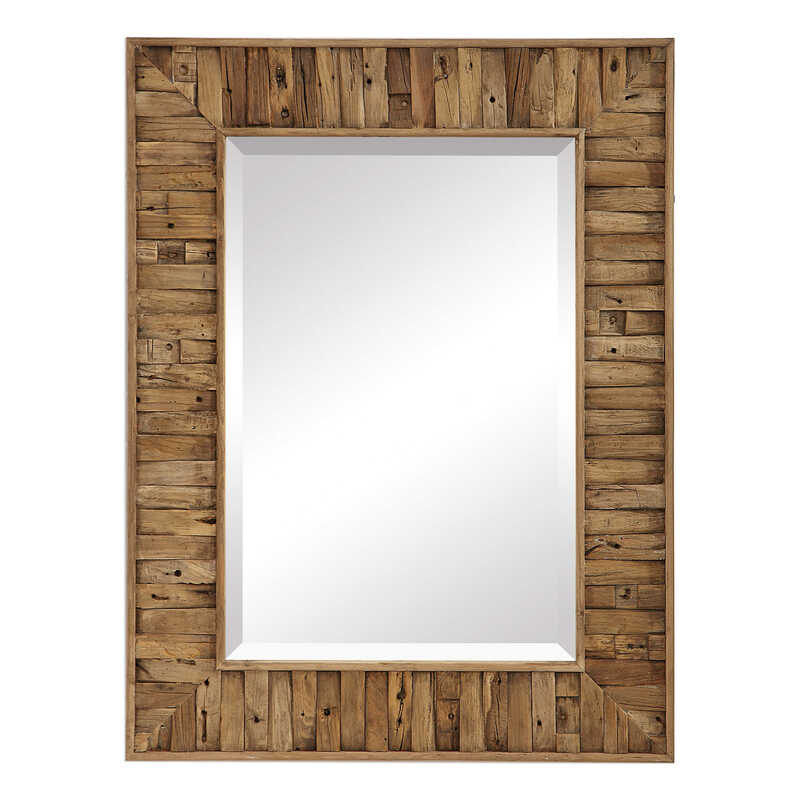 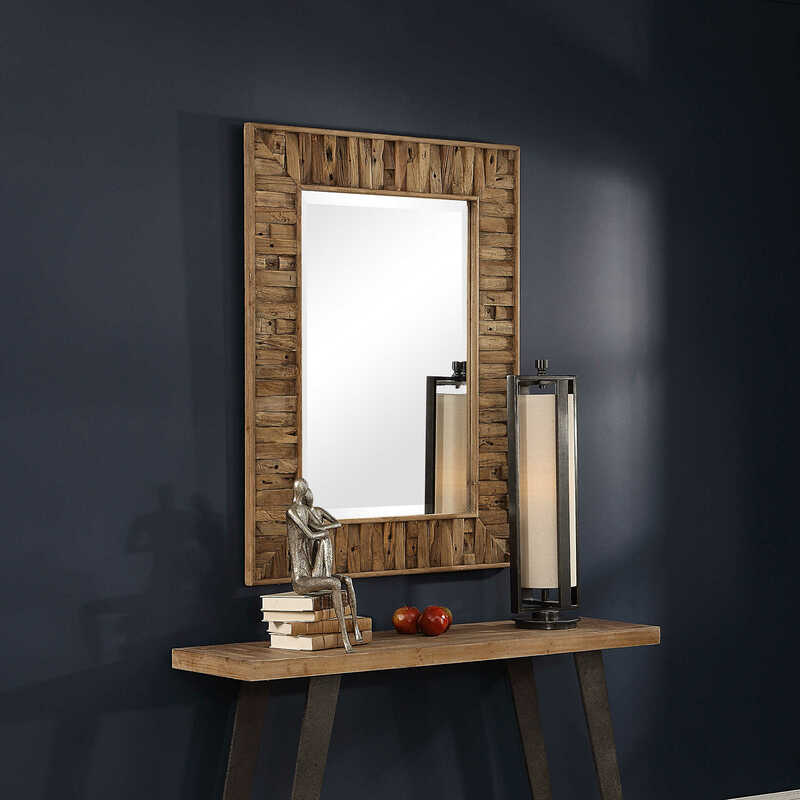 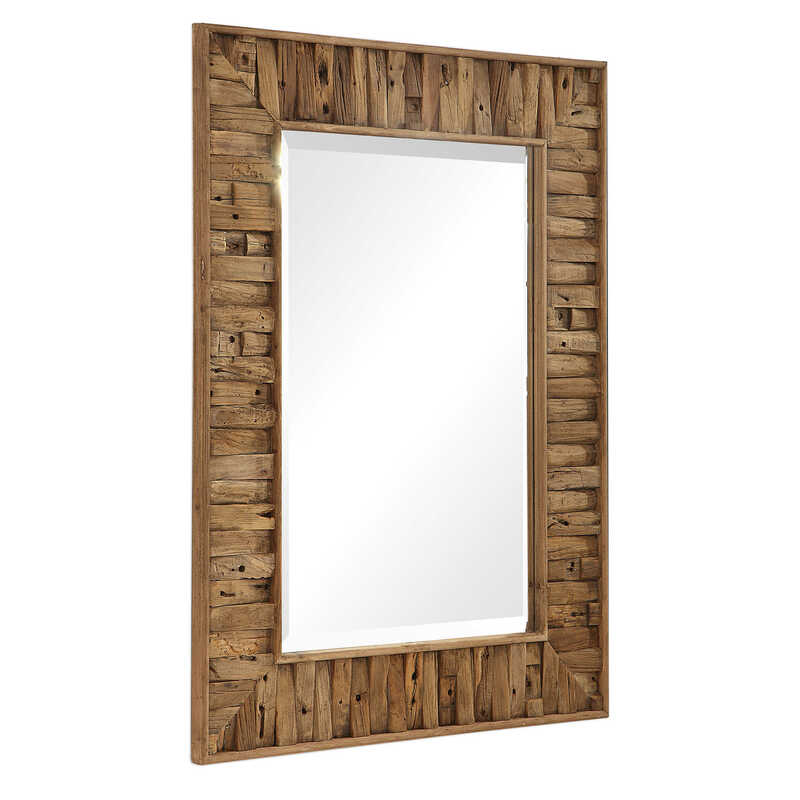 Acquire a truly unique piece with this rectangular, reclaimed elm wood mirror. 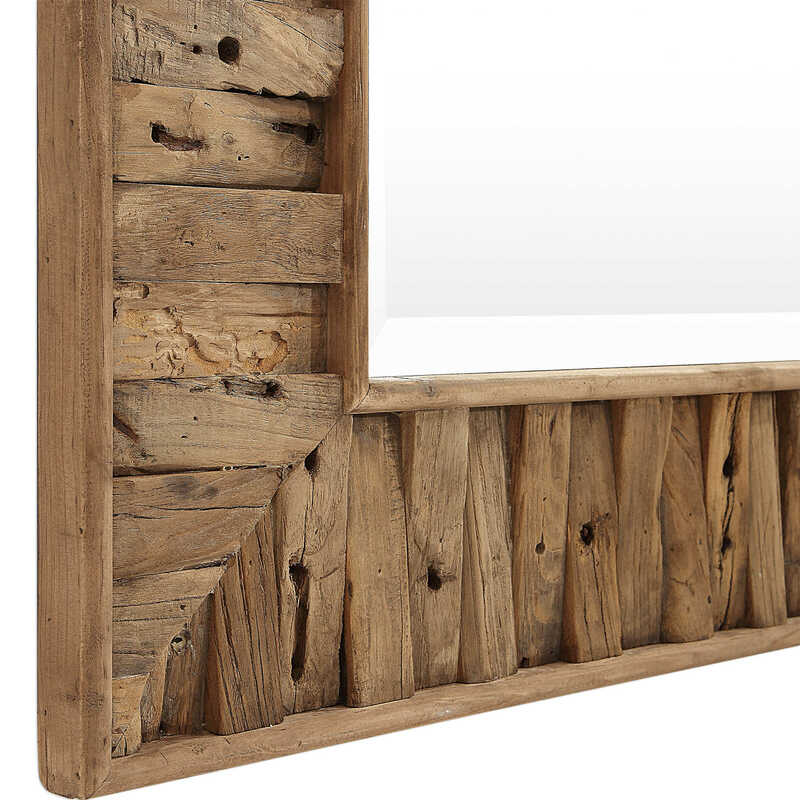 This thick, rustic design showcases a natural finish on the alternating slats that feature authentic distressed marks that will vary on each piece. 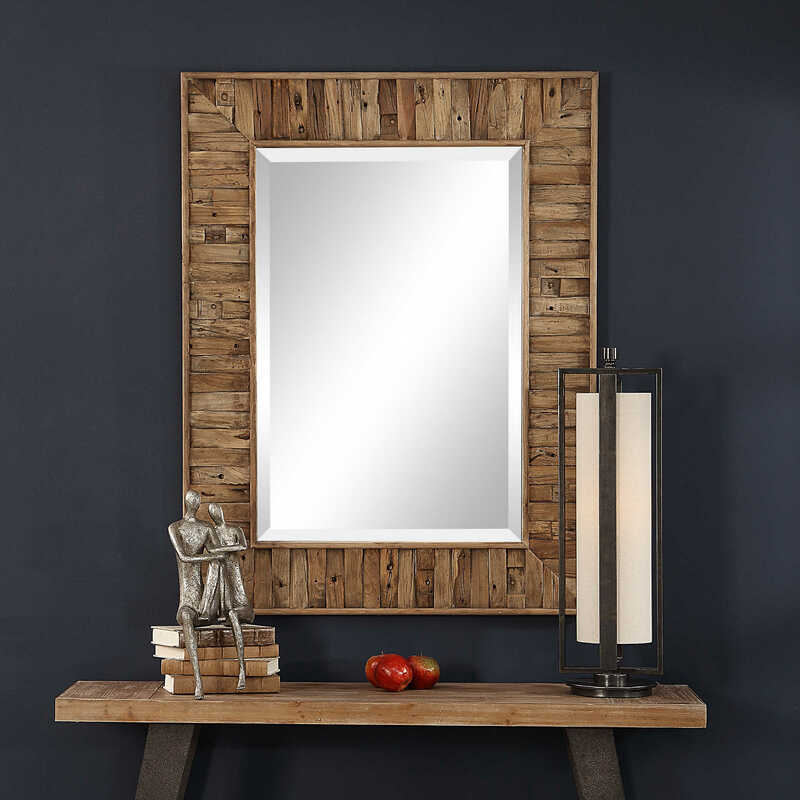 A generous 1 1/4" bevel surrounds the mirror, and this item may be hung horizontally or vertically.